Wow! I thought I had published this polish post a long long time ago, but there it was sitting in my draft folder! I subscribe to the Allure Beauty Box, it was recently completely taken over by the Allure company and they have really improved it. It is just like all the other beauty subscriptions out there where you pay about $15 a month and you get a box of samples sent to your door. The samples in this box are generally on the high end side of things. I don't remember what month I got this, but recently my box had a butter London nail polish in it. To make it even better it was one of the brand new colors that they collabed with Allure on. This one is called Violet's Revenge. This is two coats of Violet's Revenge topped with Clearly On Top from KBShimmer. 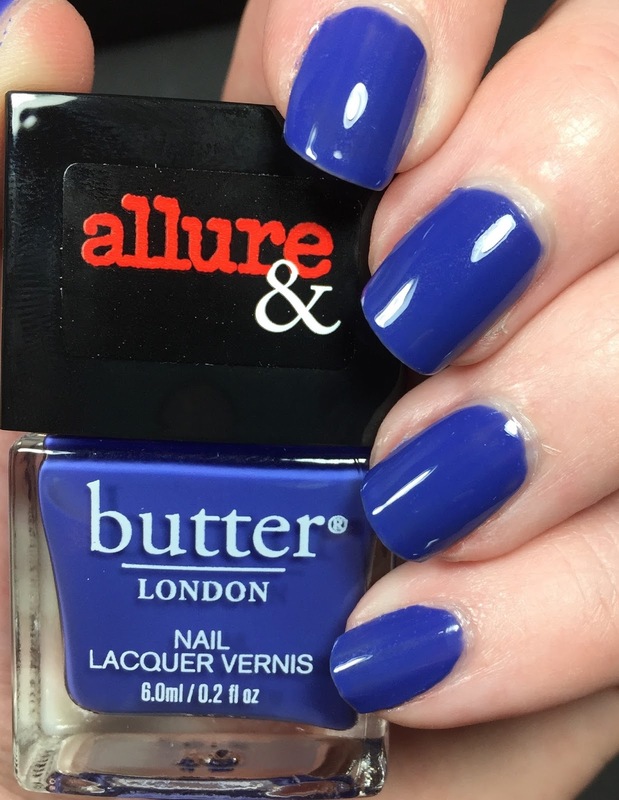 butter London describes this as an opaque blue purple creme. I wore this for days with no issue. 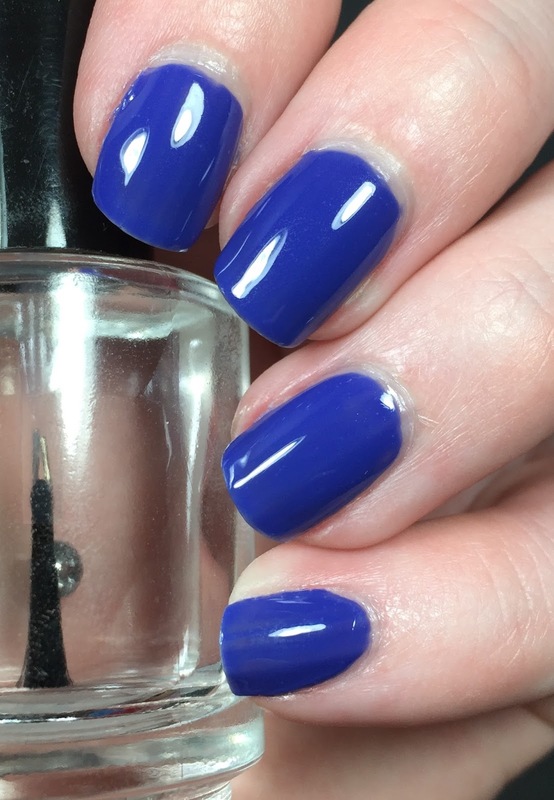 I did notice that on the butter London site that this polish is only available in a mini set and not individually. Bummer. It's here if you want to take a gander: http://www.butterlondon.com/Gift-Sets/Arm-Candy-Fashion-Size-Lacquer-Set.html It is $30 for the set of four. 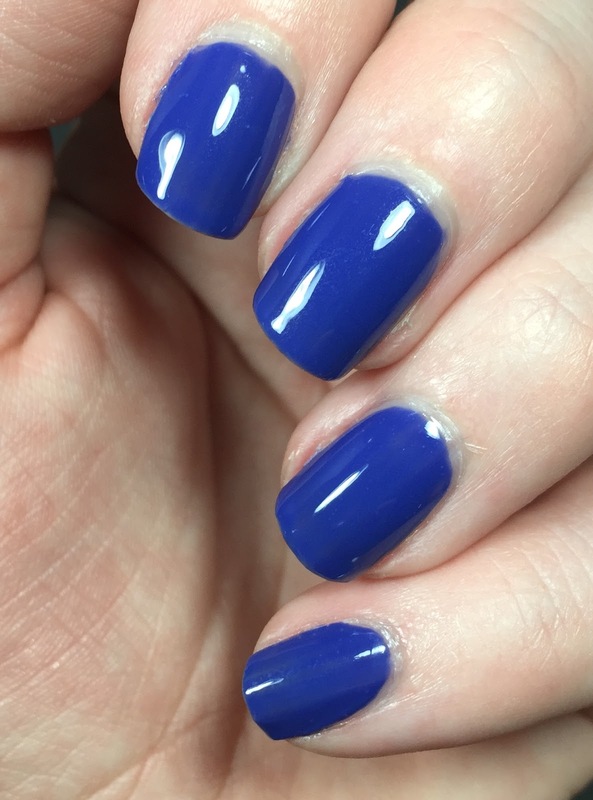 I was really happy with this color. Suited me perfect! Do you have any from this collection? Its a nice creme color! I really like this color! It's just blue. Sometimes you need just blue. Nice color! I like this one.